Immunostimulating drug. It has antiviral activity against DNA and RNA genomic viruses. It has a pronounced anti-Chlamydia effect. The activity of the drug is associated with its ability to induce the formation in the body of high titers of endogenous interferons, especially interferon alpha. V / m administration of Neovir at a dose of 250 mg for the detected serum concentrations of interferon is equivalent to the administration of 6-9 million IU of recombinant interferon alpha. Neovir activates bone marrow stem cells, T lymphocytes and macrophages. Shows immunomodulating activity, normalizing the balance between subpopulations of T-helper and T-suppressor cells. 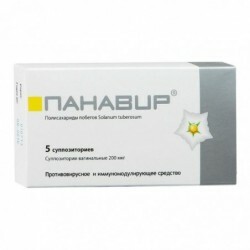 In a number of diseases, Neovir is able to reduce the production of tumor necrosis factor in the body (HIV infection, herpes) and activate natural killer cells (for tumor diseases). 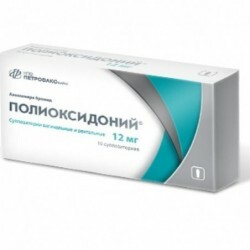 Significantly increases the activity of polymorphonuclear leukocytes. 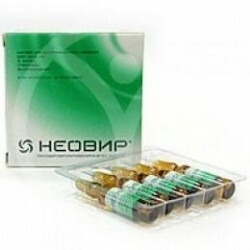 In case of HIV infection, Neovir has an immunomodulating effect: it increases the absorptive activity of blood serum, increases the ability of white blood cells to synthesize interferon alpha, and stimulates the formation of active oxygen forms by phagocytes. The peak of interferon activity in the blood and tissues is observed several hours after Neovir administration and lasts for 16-20 hours. candidiasis of the skin and mucous membranes. Excipients: sodium citrate 2.5 mg, citric acid monohydrate 0.5-1.5 mg (up to pH 7.5-8.3), water d / and up to 1 ml. The solution for injection is injected into the / m, a single dose of 250 mg (1 amp.) Or 4-6 mg / kg body weight. If necessary, a single dose of Neovir can be increased to 500 mg. The course of treatment, unless specifically indicated, consists of 5-7 intramuscular injections in single doses with an interval of 48 hours. The course dose depends on the clinical picture. The course duration is 8-12 days. With prolonged and prophylactic use, the interval between injections of Neovir is 3-7 days. In HIV infection, injection solution is used as part of a combination therapy. The course of treatment consists of 10 intramuscular injections of 250 mg each with an interval of 48 hours between injections. After the course of therapy, they take an interval of 2 months. The number of repeated courses is not limited. General reactions: low-grade fever, allergic reactions. Local reactions: local quickly passing pain at the injection site. Use with caution in elderly patients. During clinical studies and the use of the drug in clinical practice, there have been no cases of incompatibility or potentiation of the drug when interacting with other drugs. Information about the physico-chemical incompatibility of Neovir with other drugs is not available. 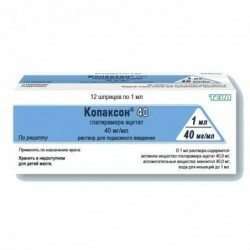 The drug is contraindicated for use during pregnancy and lactation (breastfeeding). In case of poor tolerance or soreness in the place of intramuscular administration of the drug, it is recommended to administer Neovir together with 2 ml of 0.25-0.5% novocaine solution. Data on drug overdose Neovir not provided. 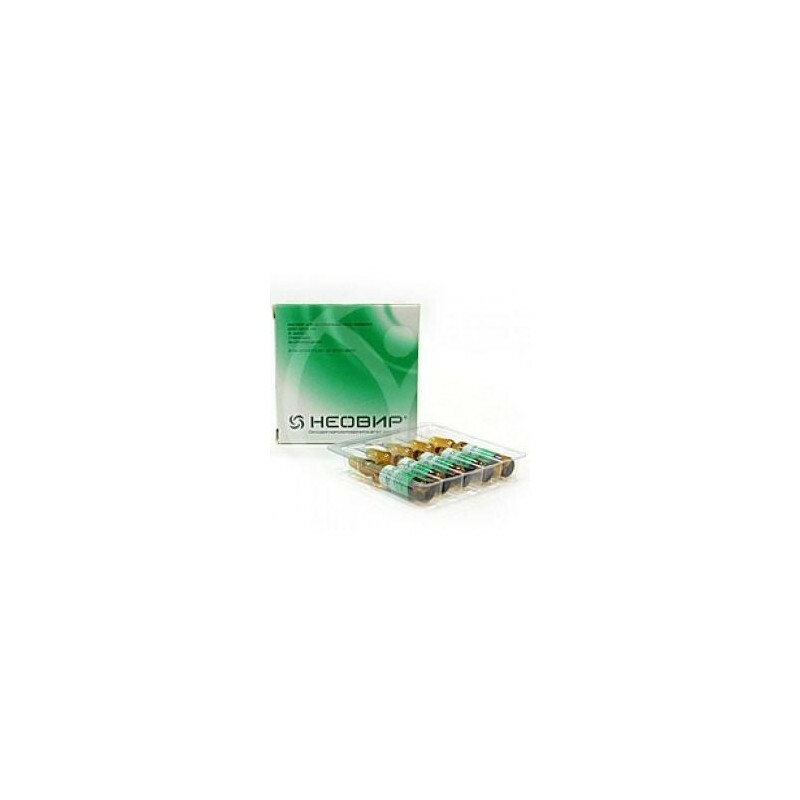 Dosage form: The solution for the / m introduction of a transparent, greenish-yellow color.